Tip: How to Get Reporters to Care About Your Petition! What do you do when you hear someone complaining about you? I know that first I feel hurt, and then I feel like I have to fix the situation. And I know that’s how most of us react — because most of us don’t like having a bad reputation. And that includes your petition recipient. 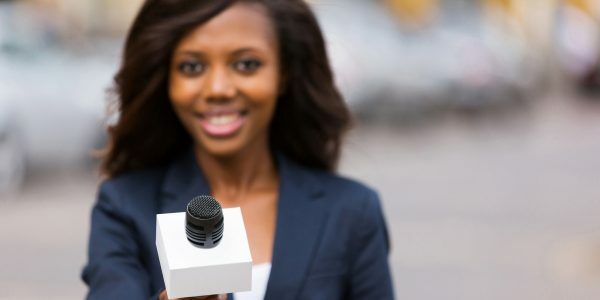 In fact, maintaining good PR is one of the main objectives of many businesses, big corporations, government agencies, and elected representatives. And since you know that they’re sensitive to bad press, you also know that one way to make an authority figure heed your petition is to go to the press. Having your issue covered in local newspapers and on TV and radio will show decision-makers how much support your cause really has, and that they can’t ignore it. Bonus: Getting your petition in the news means more people will learn about your cause and sign your petition! And luckily for you, local reporters are usually eager to cover stories about community activism. So how do you see if reporters are interested in your petition? Follow our checklist! Step 1: Pick Specific Reporters to Contact. Pick up your local newspapers and scan them for articles that are related to your topic. If you find any, see who they’re written by. Remember a great story you heard on the radio or read in the paper? Go find it and see who the journalist was! Step 2: Find Contact Details. Step 3: Write A “Pitch” Email. Want help with that? Check out our blog post on how to write a great pitch email here! Step 4: Be ready to receive some phone calls! Many times, reporters will see your email and just go ahead and call you, so be sure to include your phone number in your pitch email. Don’t be afraid to talk to reporters over the phone — they’ll usually just ask you for some basic facts, and they’re generally very nice! Step 5: Talk enthusiastically and informatively about your cause! Share your stories about talking to the press about your petition in the comments! Itching to get some specific advice? If you want further advice on how to reach out to decision-makers, how to get signatures, or how to generally make your petition better, check out our Activist University forum on Facebook. Our community of grassroots advocates and do-good trouble-makers will be excited to help answer your questions and help you make your petition as powerful as possible. Click here to join the Activist University forum community! I wasn’t expecting a response so quickly but it shows people genuinely care. Thank you to so many Animal activists I myself don’t want to bring attention to myself it is about the foxes after all ..So is there any other way to do this . It’s really fantastic that so many like minded people took the time to sign my petition, Demand that The Mendip Farmer’s Hunt are prosecuted for their fox hounds seriously injuring a pet dog, has gathered more than 1,000 signatures. This is a huge deal! I don’t wish to draw any attention to myself regarding this issue. In Scotland where I’m from the law is different to England where the attack took place so there’s no reporters that would cover this story.